The smooth introduction of the E190-E2 gives Embraer Commercial Aviation head of Asia Pacific Cesar Pereira every confidence the next generation regional jet will thrive in this part of the world. 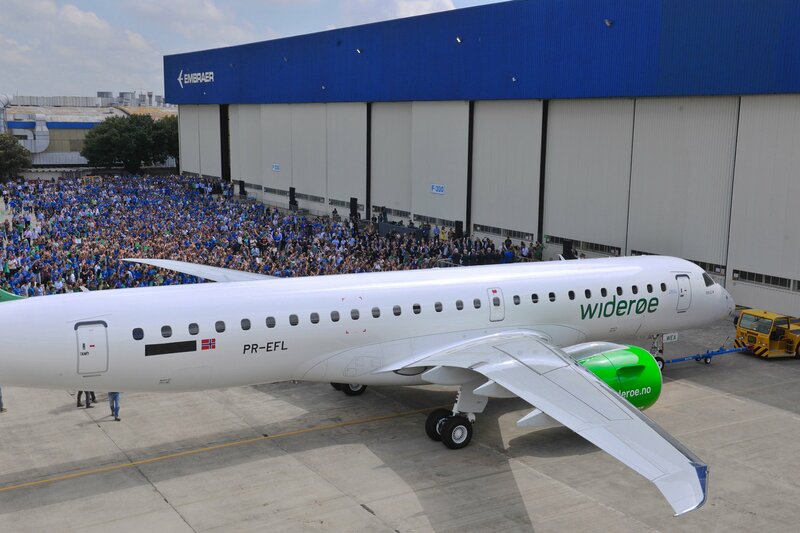 The E190-E2 began commercial flights with Norwegian launch customer Wideroe in 2018 and Pereira says the aircraft could not have performed any better. “It was one of the best entry-into-service in the industry I daresay, definitely the best entry-into-service for Embraer of all time,” Pereira said. Looking ahead, Embraer will soon have its first E2 operator in the Pacific with Air Kiribati set to receive its first E190-E2 regional jets by the end of calendar 2019. The order for two E190-E2s ­- and purchase rights for two more – represents a beachhead in the region for the Brazil-based manufacturer. And the aircraft will certainly be put through its paces, with the central Pacific island nation’s population of 110,000 people spread out across 22 coral islands that are 3,900km apart from east to west. The longest route is from Tarawa to Kiritimati (Christmas) Island at 1,773nm. It is a similar distance to Sydney-Perth, except the flight takes place completely over water. With the E190-E2, Air Kiribati will be able to operate the route nonstop thanks to the aircraft’s 2,850nm range, rather than make an international stopover in Fiji as it does currently. Pereira described the Air Kiribati order as very significant one for Embraer. Further, Embraer stood ready to support the introduction into service in challenging operating conditions given the distances involved, the demands for cargo, and the nature of the route network. “We are up for this challenge and we are happy to take this challenge and we are going to succeed of course. 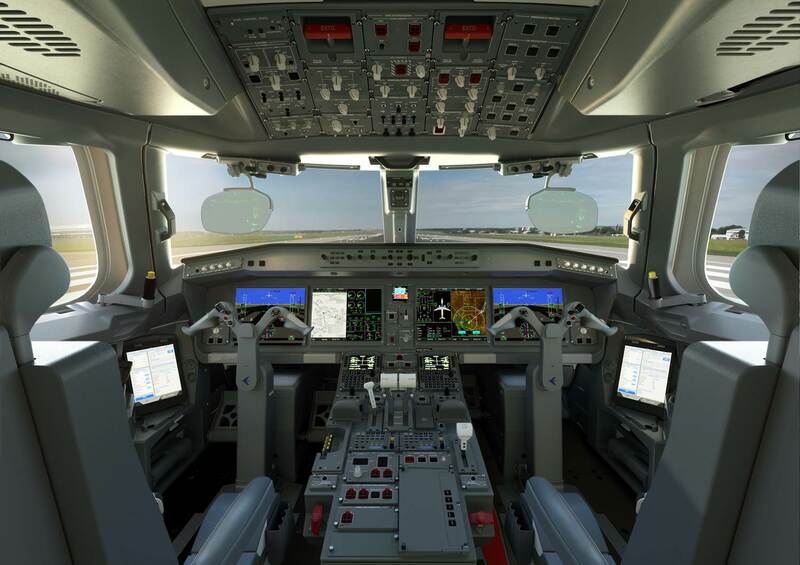 And this will be a showcase for any airline,” Pereira said. “I doubt something can be more challenging than this one. While the E190-E2 is capable of operating every required route in the Air Kiribati network, Pereira said the company was working on receiving 120-minute extended operations (ETOPS) certification from regulators. The E2 improves on the current generation E-jets with new aerodynamically advanced, high-aspect ratio, distinctively shaped wings, improved systems and avionics, including fourth generation full fly-by-wire flight controls. 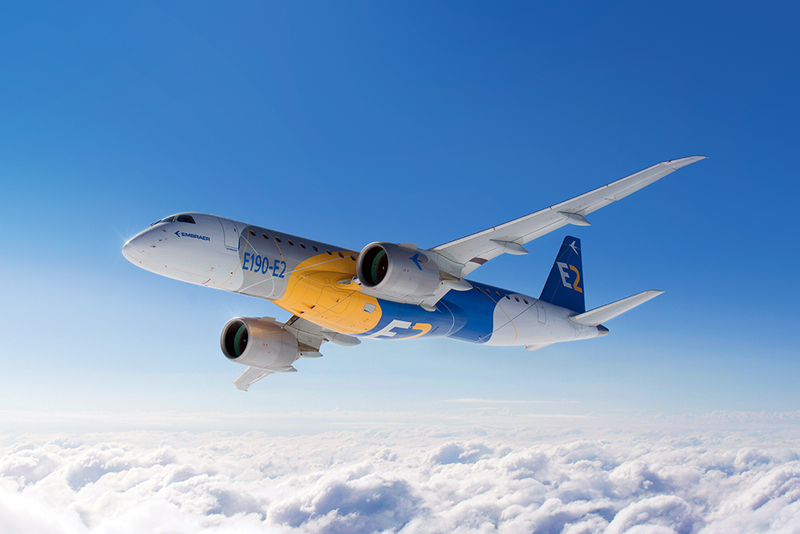 This has led to double-digit reductions in fuel and maintenance costs compared with the current E-jet family, as well as reduced emissions and less noise. Embraer is in its fifth decade in Australia, having celebrated its 40th anniversary of operations in this country in 2018. Over those four decades, its commercial jets and turboprops have featured the liveries of airlines such as Airnorth, Aeropelican, Cobham Aviation Services, Hardy Aviation, King Island Airlines, Jetgo, Skippers Aviation, and Virgin Australia. And the company is continuing to target the replacement market in Australia, where Fokker 70s, Fokker 100s, BAe 146s, Avro RJs and Boeing 717s will eventually reach the end of their operating lives. “At a certain point in time these aircraft must be replaced, not because only they are inefficient and old but also because they start having problems with parts and support,” Pereira said. “The more they delay this process, the harder it will be for them to do a proper replacement. You guys continually leave out Flight West in your articles about Embraer in this country. They were a significant operator of Bandeirantes and I believe were the first operator of the Brasilia into Australia off the back end of the Talair order. Unrelated, they also introduced the first two Fokker 100’s into Australia. Significant airline for regional and country QLD. Note also that Alliance operated the ex Flight West Brasilias for a short time. Great aeroplane is the E170/190 type, have flown in both models here and UK. COBHAM couldnt make it work for them but having only the one is never going to be a success. The VA fleet were terrific and sorry to see them go, through no fault of the aeroplane, just Borghetti’s new secondary routes policy killed it. The majority of the VA fleet have found new operators, many have gone to South Africa. Wish Air Kiribati well with it, hope it is successful, time will tell.